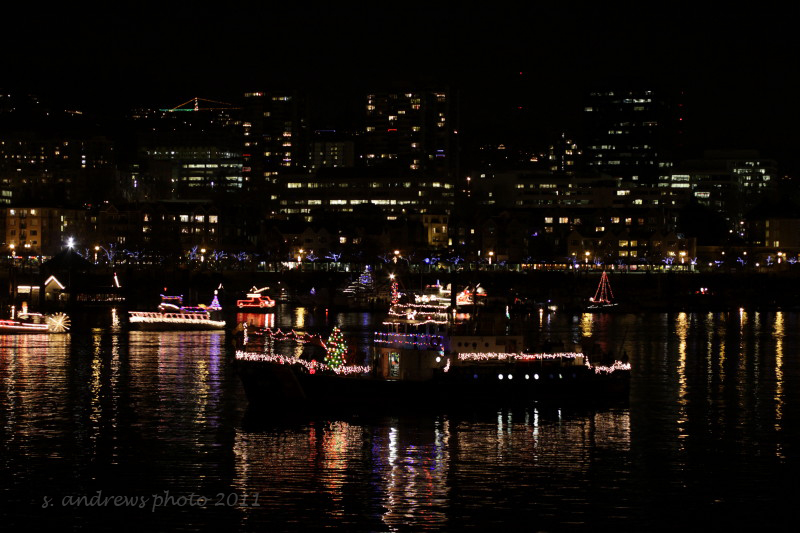 Last week September Daughter and I braved the cold to see the Christmas Ships. 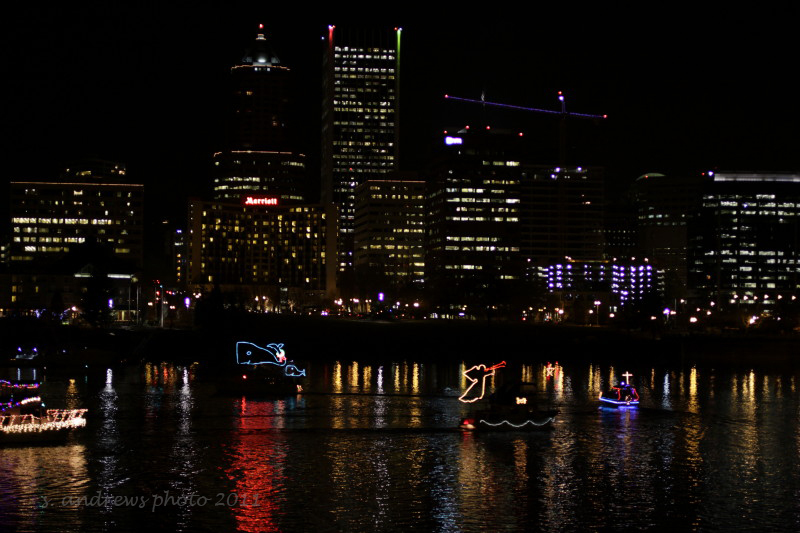 They sail on the Willamette River in downtown Portland each year. I have seen them countless times, most of those days spent soggy and very chilly. 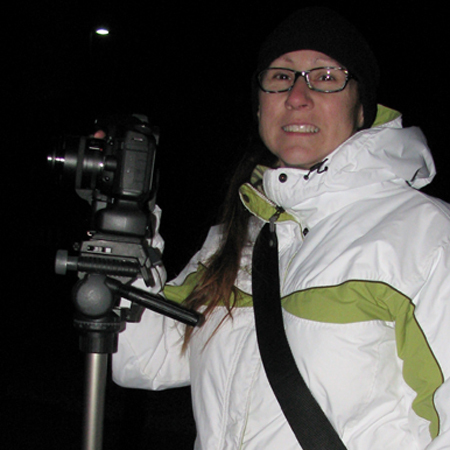 This year we were certainly chilly, but it was so dry and crisp out, a perfect eve for taking pictures! We went to OMSI to see the parade. 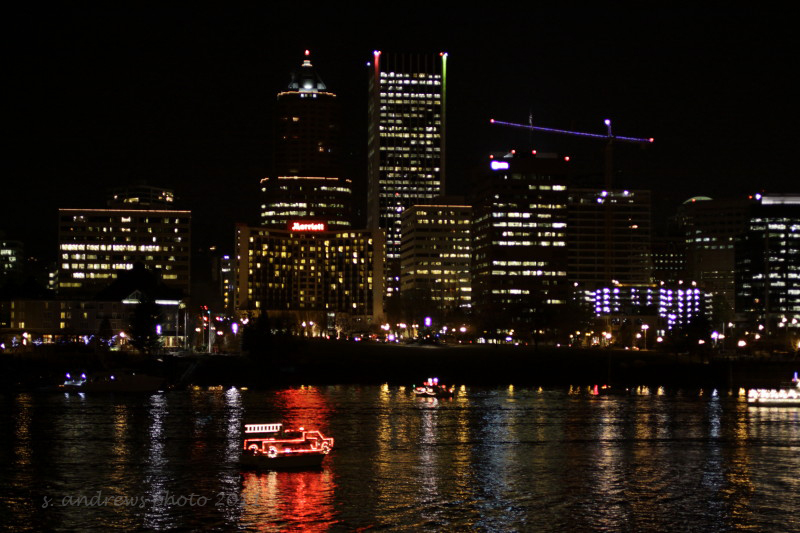 I love the city skyline from that view. 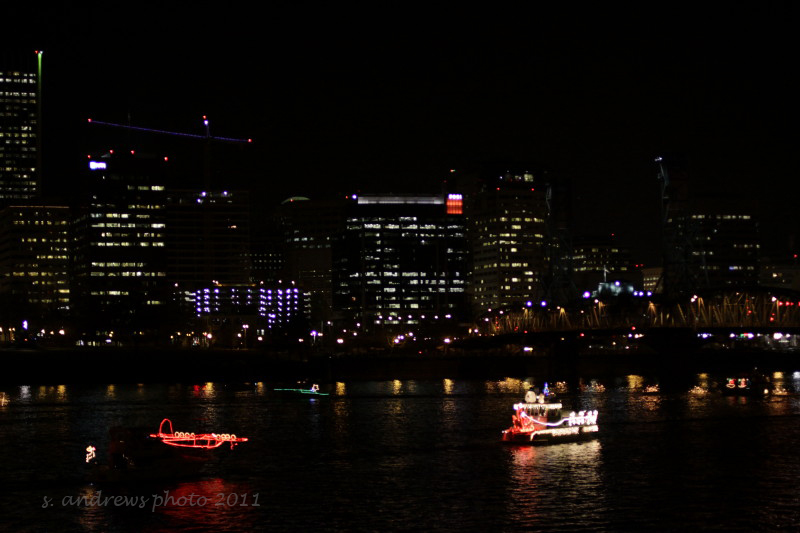 As I set up my tripod and began to look around, I noticed how still the water was. Every drop of light was mirrored in the water, making the scene anything but dark. 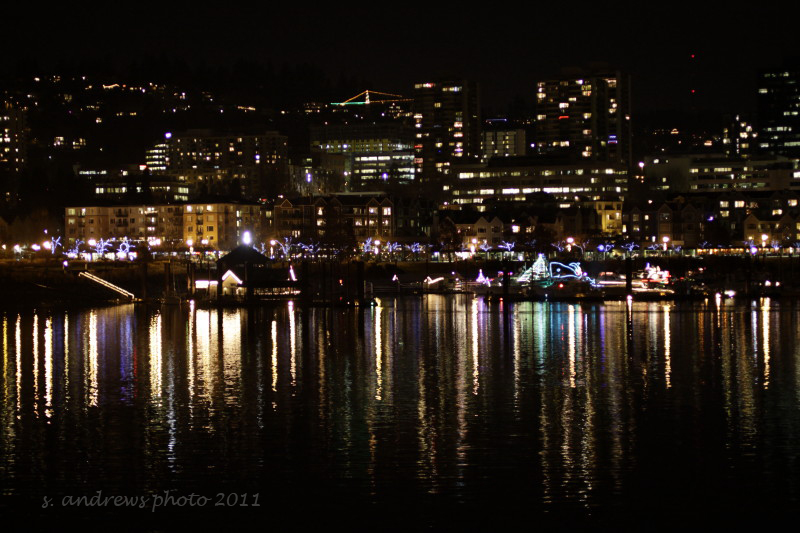 By the end of the evening the reflections in the rippling water were much different. We left after an hour, feeling more like Popsicle’s than people ~ but I got some really great shots to share with you, and a wonderful memory of time spent with my daughter and her friend. 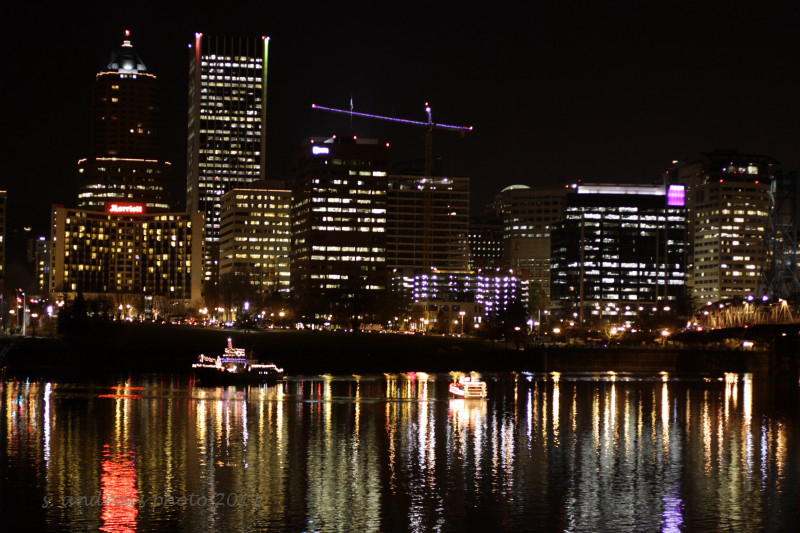 City Skyline, the marina in front. 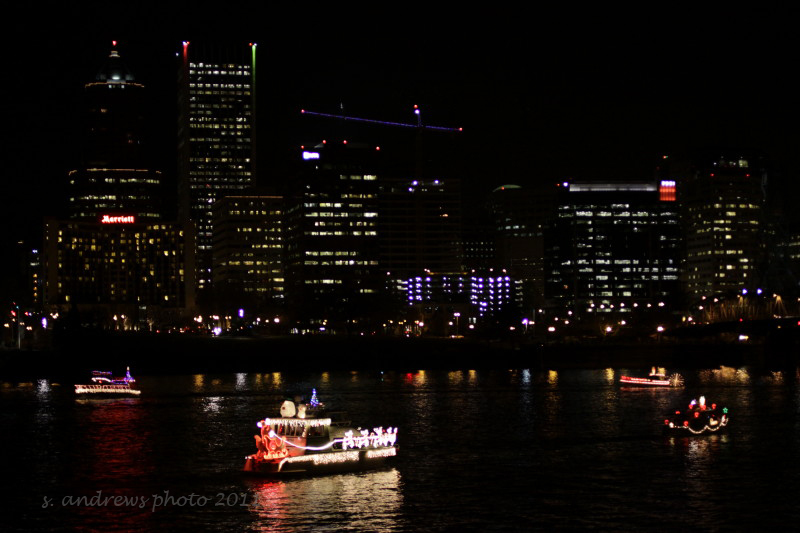 You can see the ships beginning to exit onto the river. Ships begin to form a line for the parade right in front of us. 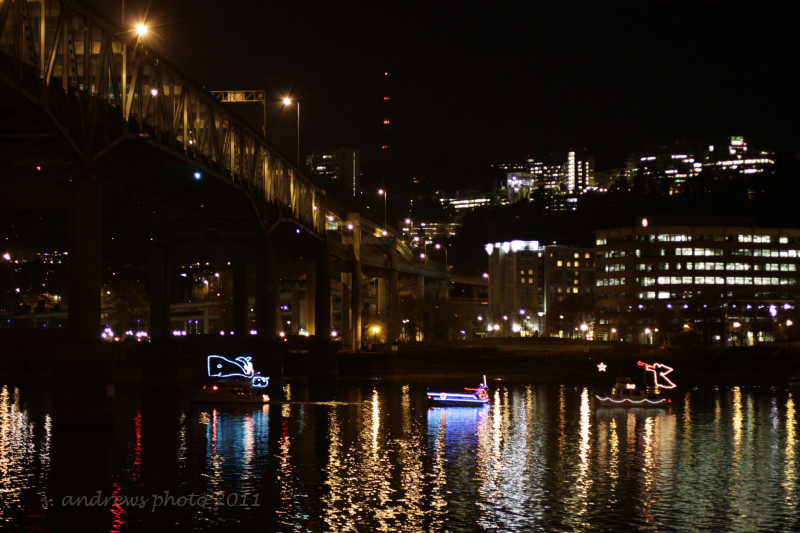 Ships sailing under the Marquam Bridge. 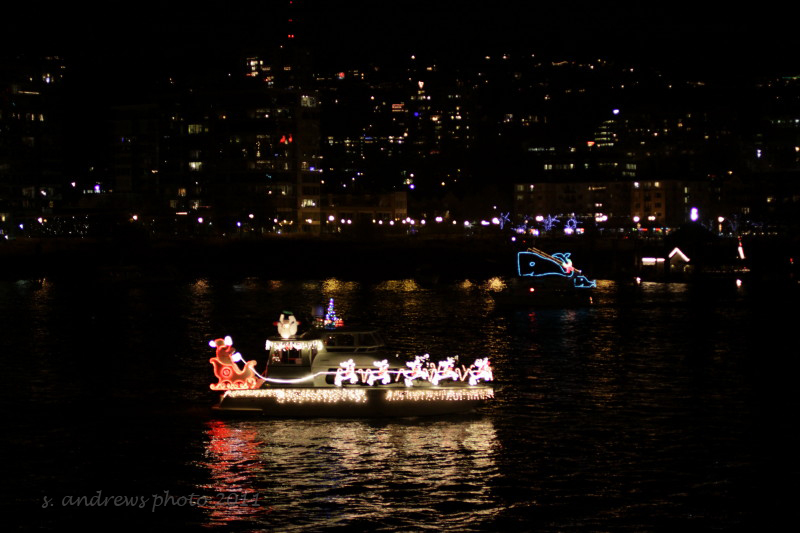 Others are decked out in traditional Christmas lights. 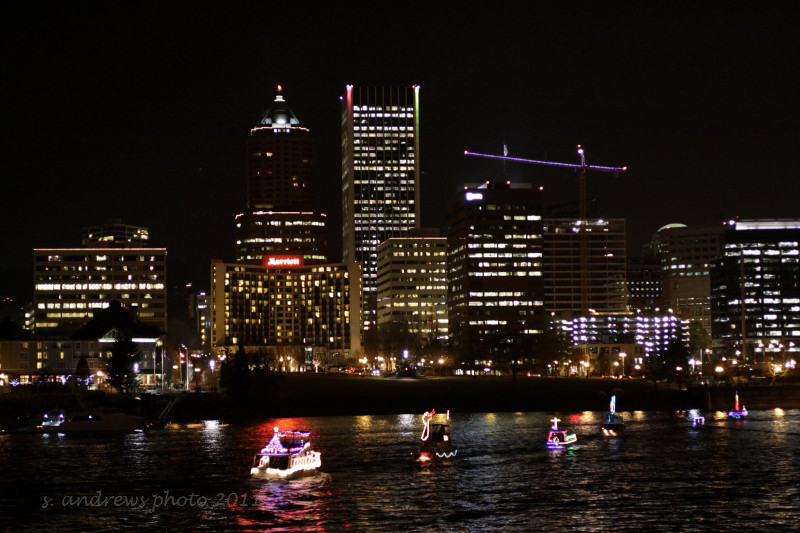 The ships circled in front of the skyline many times. 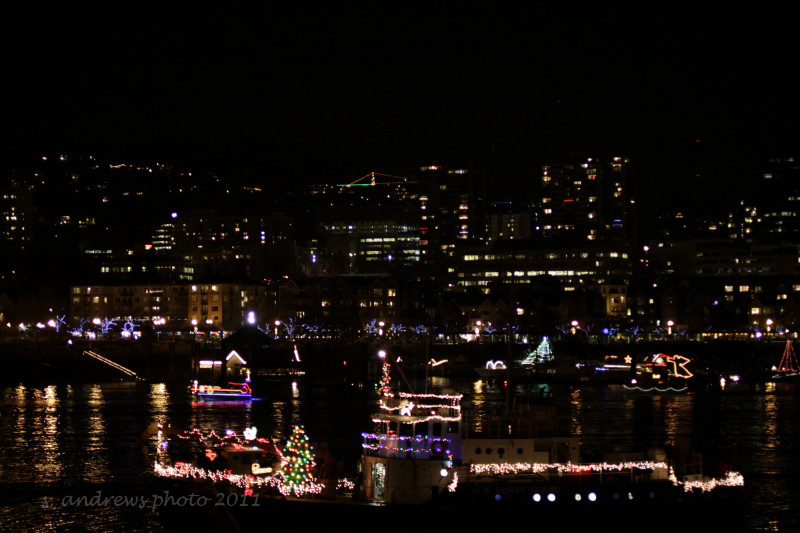 You can see the lights twinkling from the river to the hills over Portland. The Fire Engine comes complete with a siren and searchlight. He usually brings up the rear. 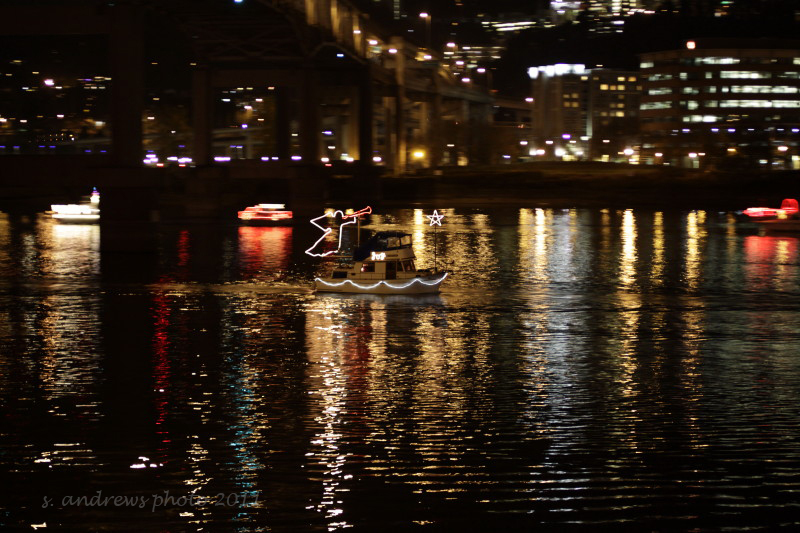 Is Santa arriving by boat this year? One last circle before heading downriver. 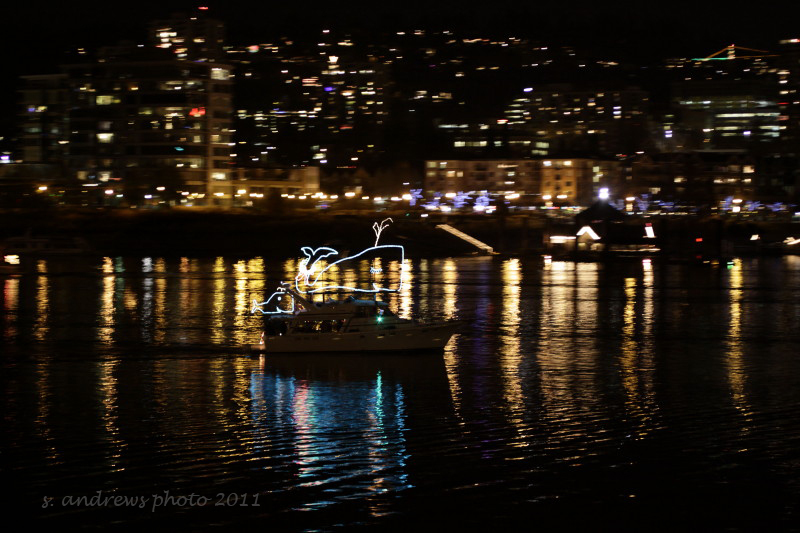 We heard them exclaim as they sailed out of sight: Merry Christmas to all, and to all a good night! up next: some simple decorating at my home ~ did I mention I love Christmas Trees ? 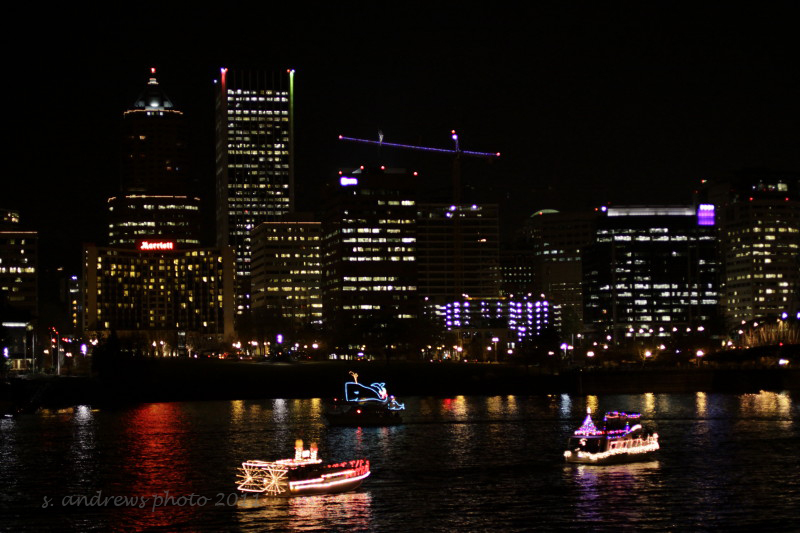 This entry was posted in Oregon, photography, uncommon everyday art and tagged Christmas, Christmas Lights, Christmas Ships, Oregon, photography, Portland Oregon, Skyline, Willamette River. Cobalt bottles, arranged on a glass and rusty metal table. They make the shade seem even cooler, with the calming color. I was eating the crackers, and thought it would be fun to play with my food! Big Mac, or Mighty Mack aka Mackinac Bridge. I am standing on the Lake Huron side. Yellow Center on purple Water Lily; how can a pollinator resist such a beautiful bloom? Hubby spends a lot of time talking to people and looking at things that (honestly) bore me. I liked having the option to play on my own, and began to look more closely at the details of the cars. My thought was just to create a new wallpaper for my phone.